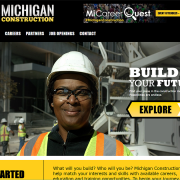 Career awareness efforts are most effective when they inspire interest among young people. 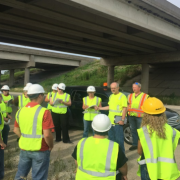 An event hosted by the Transportation and Logistics Management Research Center at the University of Wisconsin–Superior is designed to do just that. 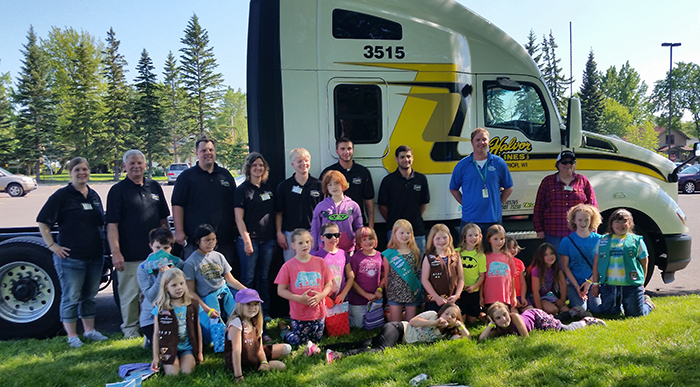 By partnering with a local council of the Girl Scouts, Dr. Richard Stewart, the center’s director, has developed a day-long event that brings elementary and middle-school-aged girls to the UW–Superior campus to explore careers in transportation. 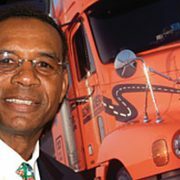 The program was developed after Stewart learned about the “Trucks are for Girls” Fun Patch created by the Women in Trucking Association with Girl Scouts in the Chicago area. Stewart worked to develop the UW–Superior program with Cassie Roemhildt, a research associate who is also the mom of two girl scouts. 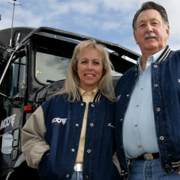 They built on knowledge shared by Women in Trucking and pulled-in support from industry sponsors as well as from the National Center for Freight & Infrastructure Research & Education (CFIRE). Ellen Voie, Founder, President and CEO of the Women in Trucking Association spoke with the girls about careers in transportation. After two years of running this event, Roemhildt and Stewart have learned what strategies work well for growing enrollment and creating a memorable experience. The addition of a flight simulator this year was a big hit and will definitely be part of future events. Getting registration information out to the girl scouts before the end of the school year is key to ensuring that the girls hear about the program. 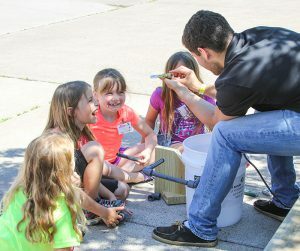 Many Girl Scout troops do not meet over the summer, so communicating to them after May is difficult. Roemhildt said that they actually begin planning their event in December or January. They also found that providing a dedicated, easily accessible online registration page for the event was really helpful. “Our goals are to show these girls what transportation is really about, how it affects them in their daily lives and that they can be transportation leaders no matter what they want to be when they grow up,” said Roemhildt. 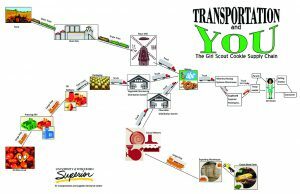 Voie’s presentation used the UW–Superior Girl Scout Cookie Supply Chain as an example of how transportation is involved in everything. 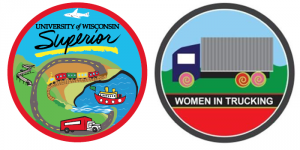 The Girl Scout Cookie Supply Chain was created by Erica Hansen while she was a research assistant in UW–Superior’s Transportation and Logistics Research Center and is copyrighted. Used with permission. 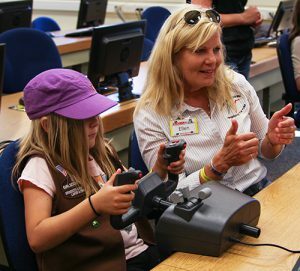 The full-day event provides activities to engage girls in transportation topics with the goal of not only educating them about the five modes of transportation—road, rail, pipeline, shipping and air—but also to increase their awareness of the transportation industry and the career options it offers women. The day’s activities were organized around the five modes of transportation and included numerous hands-on activities. 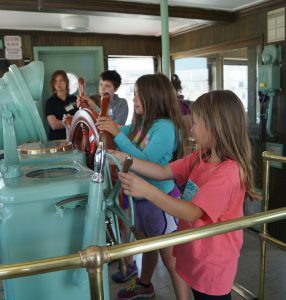 The first stop was the S.S. William A. Irvin Ore Boat Museum, where the girls traveled throughout the boat and learned what it hauled, how it worked, information about the crew, and much more. When learning about rail transportation, the Girl Scouts traveled to Lake Superior Railroad Museum where they climbed aboard various train exhibits. The girls took at train ride on the North Shore scenic railroad and enjoyed box lunches while riding the rails. After the museum the girls took a train ride up the North Shore where they learned about the history of the Twin Ports and the rail industry. Then, they headed back to campus to learn about the last three modes of transportation: pipeline, trucking and air. Halvor Lines, Inc. provided a brand new cab of a semi-truck, which the girls could look into and explore. A former female truck driver also came to campus, and she fielded many questions from the girls. Building a mini pipeline model. Then, the girls then built a mini pipeline model that pumped water and created a fountain. Finally, the girls learned about flight while designing their own paper airplanes and seeing what it’s like to fly using a flight simulator. These special patches are worn on the back of the girls’ Girl Scout vests to commemorate their participation. To learn more about how this event was organized, contact Cassie Roemhildt at chanse12@uwsuper.edu.